Nicole Metz is an all-round development professional with a strong commitment to contribute to sustainable changes that end poverty and promote equity. She combines an extensive experience in policy advocacy at national and international level, with experience working with civil society organizations in Africa and Asia. Building bridges between practice and policy, and between actors at the local level and those at national and international levels have always been among the key strategies of her work. Before joining the Office of the Food & Business Knowledge Platform and AgriProFocus, Nicole worked with Oxfam Novib for 10 years. For part of that period, she worked as a policy advisor, most recently on the UN ‘post-2015 agenda’; and before that, as the knowledge management advisor for civil society partner organizations in Africa. 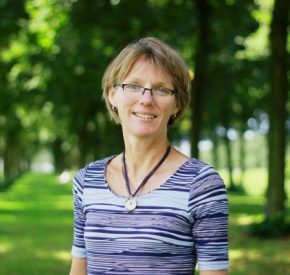 Nicole graduated in the field of Human Nutrition at the Wageningen University and Research Centre in 1991, and has since then been working – amongst others – on various projects related to food and nutrition security, as well as on trade and development and sustainable livelihoods. The Food Systems Approach: inspiring an innovative way for SDG2 impact? Fruits and Vegetables: high potential for food and nutrition security! ?